I was wondering how the governmental sequester issue was going to affect the Great Smoky Mountains National Park. Well, I found out this week that what they are going to have to do will affect us somewhat but not mess up our trip to the area this coming July. We already have reservations for seven nights for a site in Elkmont Campground which is about six miles outside of Gatlinburg. The good news is that Elkmont, so far, is not affected. That's a relief. But a location we planned on staying a few days will be closed, and that is the Balsam Mountain Campground. That site is up the Blue Ridge Parkway northeast of Cherokee. We like to spend time there because it is not as crowded and is at a higher elevation, meaning the days and nights are cooler. My wife and I belong to the Great Smoky Mountains Association and, among other publications, receive a monthly Email letting us know what is going on in the park. The monthly E-Newsletter is called "the cub report" and has a lot of good information. To become a dues-paying member and support the park go to the GSMA fundraising site. 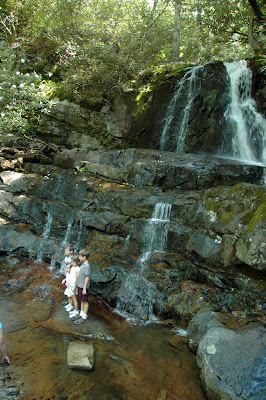 'Sequestration has left its mark on the Smokies in the form of a 5% budget reduction. Three campgrounds, two picnic areas, one horse camp, and associated access roads, will not open during this year. In addition, several campgrounds and roads that usually open in March will be delayed until mid-April. It is not as bad as it could have been and we hope those are the only locations that are going to be closed. I don't create many responses, however I browsed a ton of comments on this page "Sequestration closes some Smokies sites". I do have a couple of questions for you if it's okay.